After finishing the basics (benchwork, trackwork, wiring, weathering) I placed my first buildings on the module. 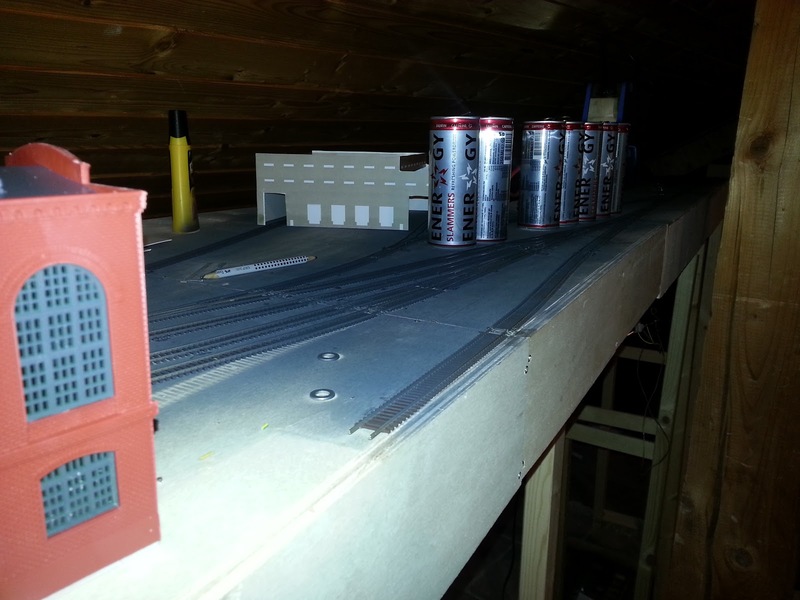 To get an impression how the structures will work together I placed the old boiler house, the kraft mill and the warehouse so see if it fits in the space. I will add some energy drink tins as pulp silos. They have to be modified but will be a great eyecatcher. Die Energydrink-Dosen-Pulp-Silos werden über Rohrsysteme mit dem Maschinenhaus verbunden. The pulp silos, scratchbuild from energydrink tins, will be connected to the machine house by pipes. Die grünen Fenster aus dem Walthers Bausatz für das Kraftwerk mögen zwar auf einem Dampf-Layout gut aussehen, da ich westenlich moderner unterwegs bin, wurde sie in einem dunklen Anthrazit-Farbton lackiert. Das Kraftwerk ja nur noch ein Backup und ein Relikt aus aus vergangener Zeit. 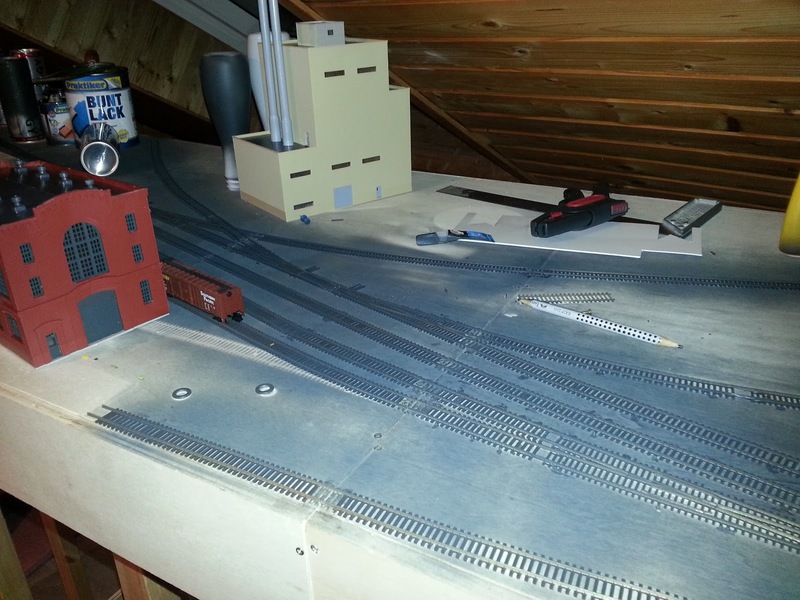 The green Walthers power plant windows will match to a steam era layout but not to my moden times paper mill. So I painted the windows in an ligth black colour. This building will be heavyly weathered to match the mill.